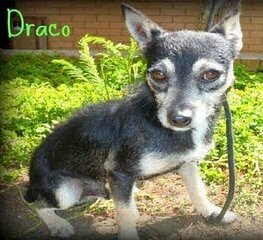 Hearts to the Rescue: LA, CA shelter-DRACO, tiny one, baby, 1 yr old blk/tan toy fox terrier--easy peasy lemon squeezy adopt! 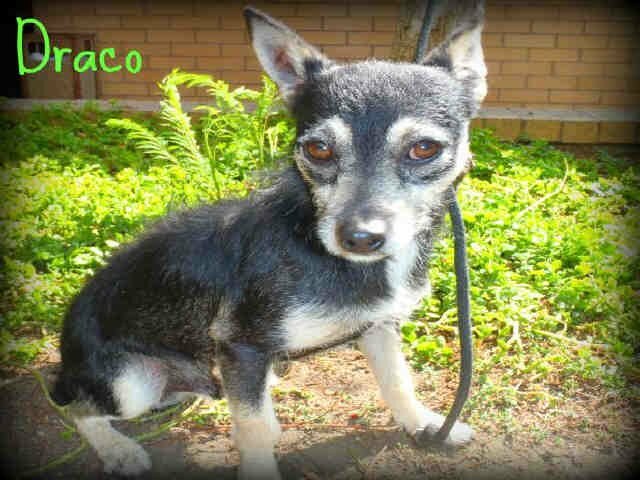 LA, CA shelter-DRACO, tiny one, baby, 1 yr old blk/tan toy fox terrier--easy peasy lemon squeezy adopt! PLEASE HELP THIS LITTLE GUY!! WHO AM I? My name is Draco. I'm just a little guy, so I won't take up much room. I promise to be really good and give you hugs and kisses. The shelter thinks I am about 1 year and 1 month old. I have been here since June 17, 2011. I'm really a good boy, so I know you'll be very glad you took me home.